In a city where rents are higher than the Empire State building, space is at a premium in NYC. It’s hard to imagine a slew of empty banquet halls and apartments, but alas, they do exist, if not for long. Eventup, a west-coast born company that aims to be “the AirBNB of event spaces”, is transforming idle, tenant-free clubs/apartments/etc into the spot for your next party. 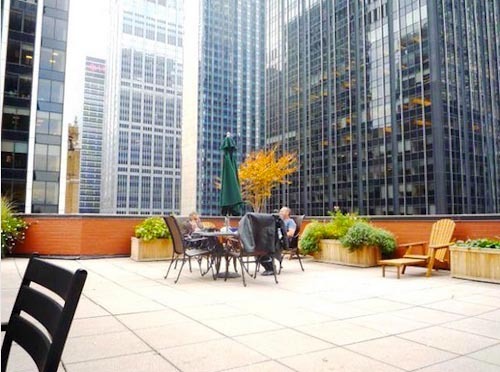 For a pittance (~$200-$400) you can host the rooftop shindig of the year for fifty people in Midtown Manhattan. The space at left comes with a studio apartment and leases for $250 7 days a week. Some properties not only great views, but storied former tenants, including Bob Dylan and Lady Gaga. Now how’s that for an opening line? omg that is so baller. let’s rent it.